The XVIth Warrior Blog: Toulouse hotel offer! 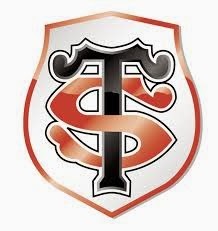 The 3 -star hotel is just 10 minutes from the Stade Ernest Wallon in Toulouse. Facilities include , restaurant, bar, parking suitable for buses and access to buses home all night . The rooms are equipped with all modern comforts (flat screen TV , Canal +, free WIFI ... ) . St Andrew' s day kilt day pint give away! Junior 7s festival: Here's to the future!